I finished my first read through of The Banshee Worm King: Book Five of the Oz Chronicles over the holiday break, and I’m happy to say I didn’t hate it. This is probably the most action packed installment of Oz’s journey, so I’m anxious to get it edited and on the shelves as soon as possible. The ending still needs a lot of work, so I’ll be tackling that particular stretch of the story over the next couple of weeks. I did have a dream about the giant worms in the book after the first read through, and it was horrifying. I can’t remember if I’ve ever dreamed about one of my books after reading it, so I’m taking it as a good sign… as terrifying as it was. In the mean time, I vacationed in lovely Ashville, NC over the Christmas break with my even lovelier wife, and had a great time. In the paraphrased words of Liz Lemon, I want to move to there. 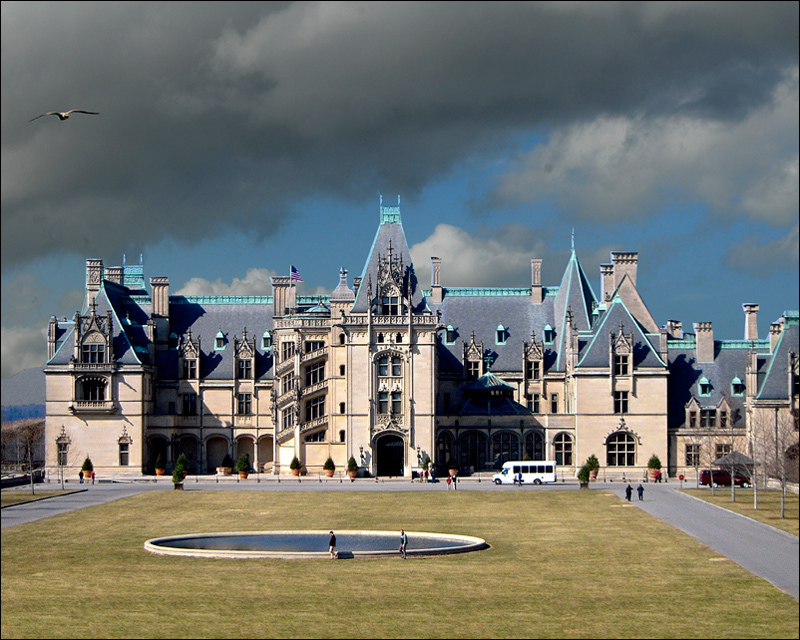 I toured the Biltmore mansion which is the setting for Book Four of the Oz Chronicles. I described the mansion in the book based on photos and descriptions available on various online sources. I got some of it right and some of it wrong. The main hiccup in my depiction is the scale of some of the rooms. Some were much smaller than I imagined while others were much larger. The property itself is immense, and I missed a lot of opportunities to take the story even further. Oh well. That’s what other books are for. Speaking of other books, I came up with an idea for another possible series for young adults while in Ashville. Apparently, vacations are good for my writer brain. Last vacation while in Vegas, I came up with the idea for The Man Who Saved Two Notch. At any rate, the new series has to do with aliens and transdimensional beings. It is tentatively titled Field Trip. That most likely will change because I’ve noticed a few books with field trip in the title. I have an ambitious plan to write five books and one screenplay in 2012. I’m also going to be working on a teacher’s edition of The Takers. As always, I’ll keep you posted on it all right here. Happy New Year! This entry was posted in My Books and tagged Book five of the oz chronicles, giant worms, next book by R.W. Ridley, r.w. ridley update. Bookmark the permalink. ← Gorilla Claus is back!